It’s run out of the Berkeley Lab, and is the technology center behind the technology centers, if you will, of companies such as Kiverdi, Sylvatex, Perfect Day, Lygos, Microvi, and Greenlight Biosciences to name just a few. 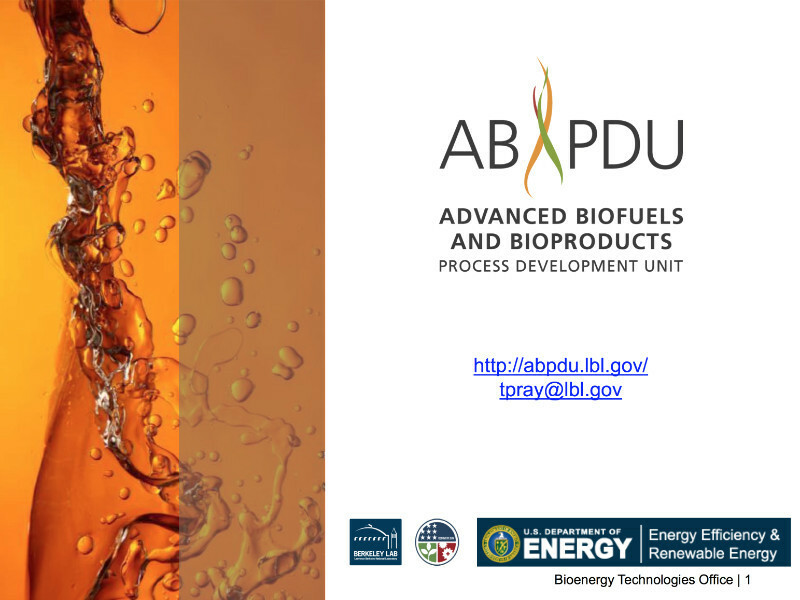 They’ve been operational since 2012, collaborating with researchers in the bio-products industry, the National Labs, and academia to optimize and scale technologies to enable the commercialization of bio-based chemicals, materials, and fuels. Specific among the services are Bio-process Prototyping & Optimization, Concept Development & Validation, Scale-up Integration & Demonstration, plus Funding & Grant Proposals Support. Here’s a slide presentation on the organization, the people, approach, partners and more.